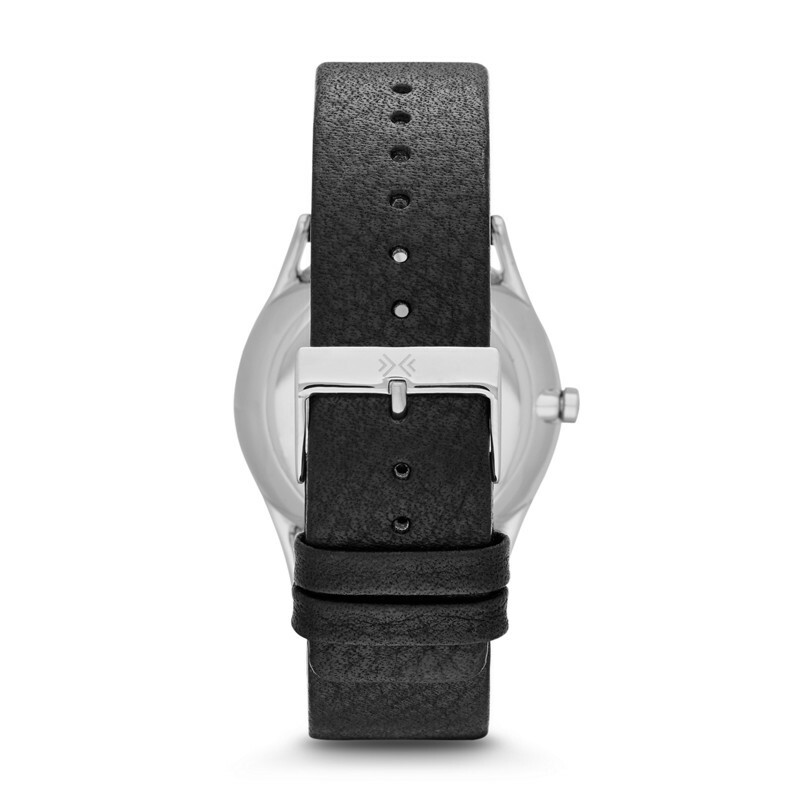 Skagen : Where style and simplicity effortlessly meet. It has been said that a successful brand evokes emotion, passion and loyalty of the individual that buys it. Standing on the edge of the Grenen, witnessing the Skagen lights whilst the North and Baltic Sea seamlessly meet, I cannot really argue against this notion. Skagen is a brand where style and simplicity meets effortlessly and one cannot help but fall in love with this contemporary Danish design movement. Now of course I would be lying if I told you I’m writing up this article whilst sitting in this quaint town and admiring all its seaside glory, but alas, I can only say that I’m looking at my new Skagen watch and already planning on which one to add to my collection. Since we’re being audacious and all, let me just entertain the idea that you can tell a lot about a man who wears a proper, good-looking watch. Every audacious man needs a watch to compliment his persona, and my Holst Men’s Multifunction Leather Watch from Skagen tells this: I’m a streamlined individual that is infused with warmth and character—making me unmistakably inviting. Unquestionably Skagen. The small village of Skagen on the edge of the sea remains the inspiration for all Skagen watches. In 1987, Hendrik and Charlotte Jorst made the big jump overseas to the United States (from their native country of Denmark) to follow a dream. The dream, Skagen Designs, was developed following the principle that beautiful, high-quality watches can be designed at an affordable price. The Skagen watch collection is (and stays) the pure reflection of the creative Danish spirit – owing its success to the clean and elegant design that is skilfully crafted. If you buy a piece from the Skagen Collection, you become part of the Skagen owner’s philosophy of modern design and simplicity. 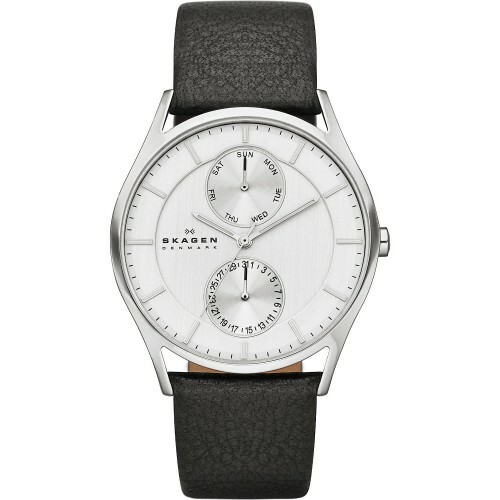 The Skagen Holst Multifunction Leather Watch features a classic look, tailored into a modern design that is simplistic and visually appealing. The polished 40-mm stainless steel case gets a more casual look with a supple black leather band (22mm thick) and a brushed stainless buckle. Within, the watch has a thin hour and minute marker as well as two smaller displays that indicate the day and date. Being somewhat of a melancholic perfectionist, the inner design fundi in me absolutely love the fact that everything is perfectly proportioned, simplistic and clean. The markers have a faint glow of a neutral coloured polished shell that just adds to the ultra-sophisticated look in a very inconspicuous way. Its case, only 6.5mm thick, envelopes this watch as a classic dress watch for men that is tastefully low-profile. Let’s give credit where it is due. This gorgeous piece of craftsmanship gives you a definitive bang for your buck. This is by no means a Swiss investment piece (or for that matter contain a Swiss clock system), but – this is a big but, you will turn heads when showing off your new contemporary Skagen watch. It took me a week just to get used to the fact that this timepiece is so wonderful to look at and still so simplistic. We’re in a current fashion trend where bigger and bolder is better. The Holst Multifunction Leather Watch takes us back to an era where manliness was embellished in a classical look of utter sophistication (that just sounds pretentious, but still true). Go on, I dare you to go to beaches of Skagen – where style and simplicity effortlessly meet.